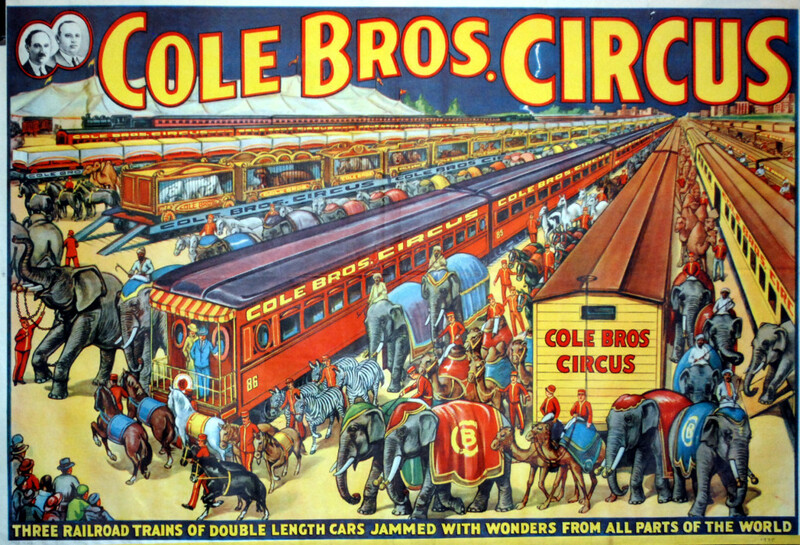 With roots dating back to 1884, The Cole Bros. 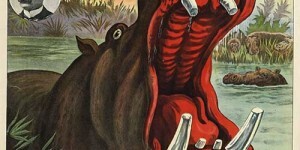 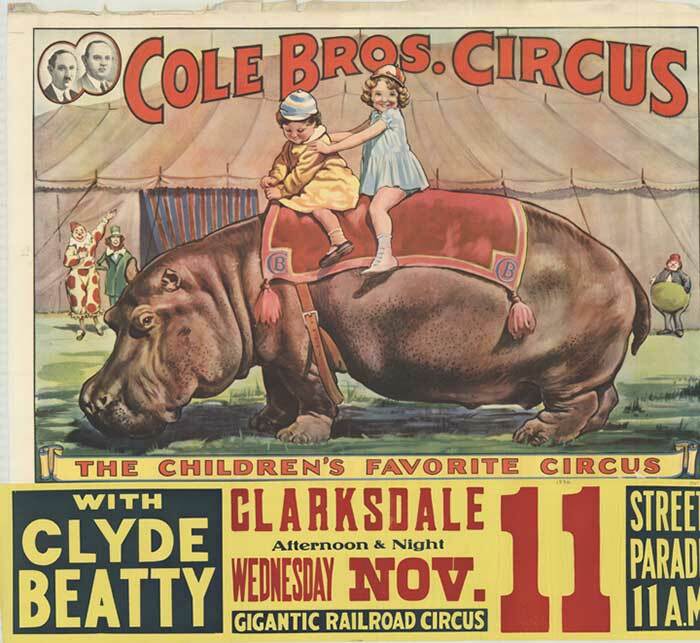 Circus of 1935-1952 had many promotable features, including Clyde Beatty and “Lotus” the Hippopotamus. 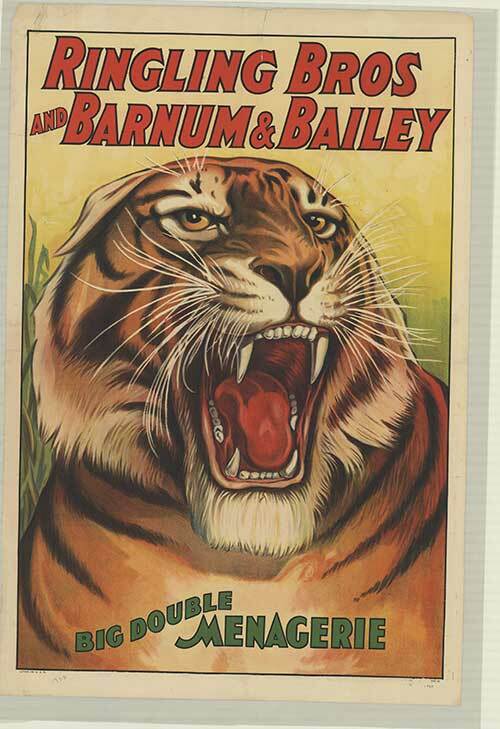 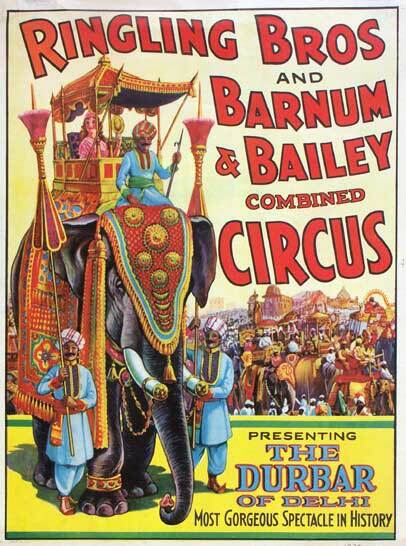 You can see more historical circus posters from the library’s collections by visiting our online library catalog. 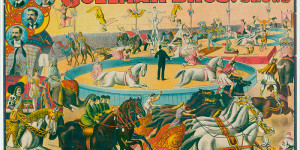 By clicking on the “Advanced Search” button found at the top of the online catalog page and entering “poster” in the box marked “Collection” you will be able to review all available online records from our poster collection. 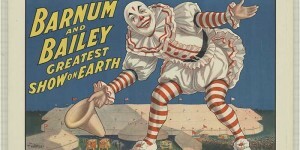 Circus World maintains a collection of nearly 10,000 posters. 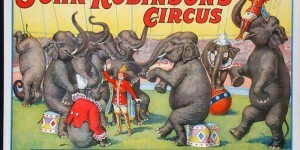 The online records represent only a fraction of those holdings. 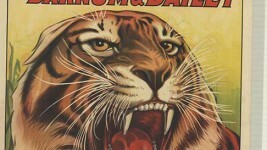 New images are uploaded to the online catalog on a regular basis. 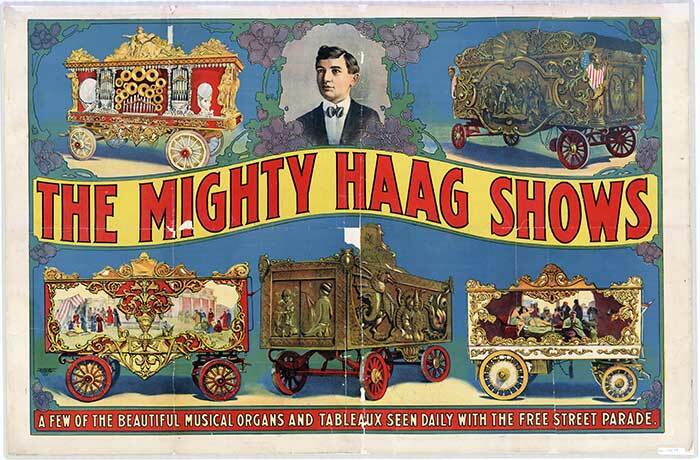 A Fabulous Free Morning Eye Feast – An Extravagance Of Display Unparalleled. 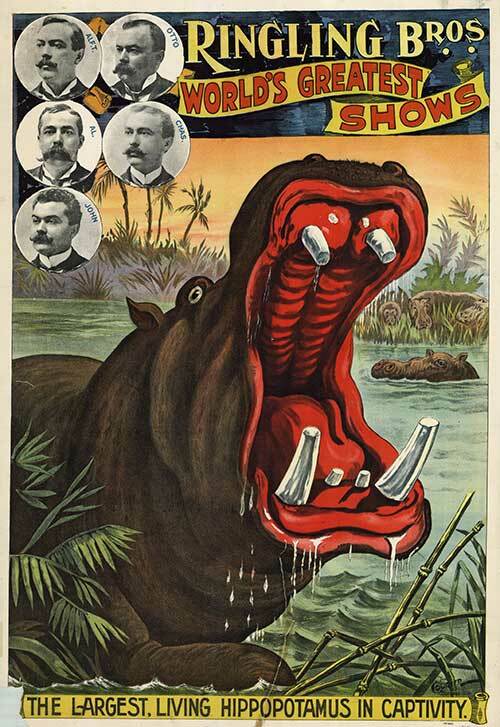 Portraits of the five Ringling brothers were often featured on their colorful advertising posters, as in this dramatic hippo lithograph. 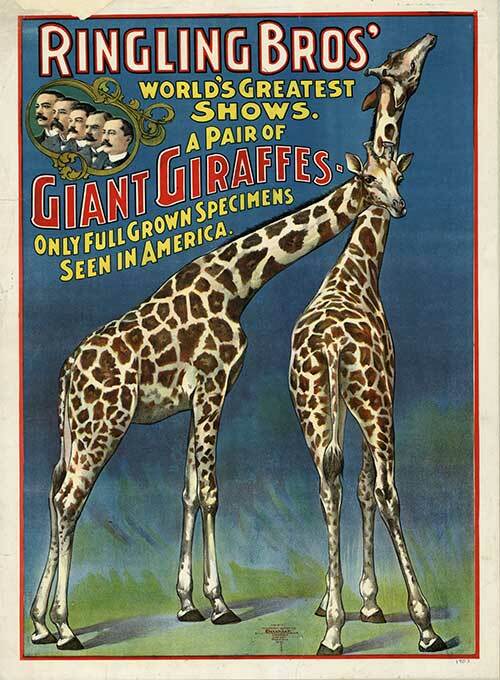 One of the Ringling advertisements proclaimed they were exhibiting the only giraffe known to exist, but then returned the next year with two giraffes. 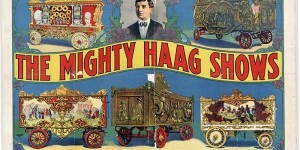 An early poster for The Mighty Haag Shows (1891-1938) showcasing some of the beautiful parade wagons featured in their free street pageants. 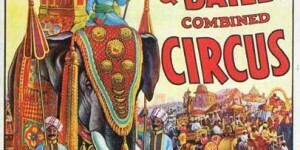 Large circuses presented massive spectacles based upon historical, biblical & fairytale themes. 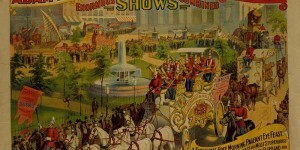 These pageants used large painted backdrops, special wardrobe and music to tell a story in pantomime. 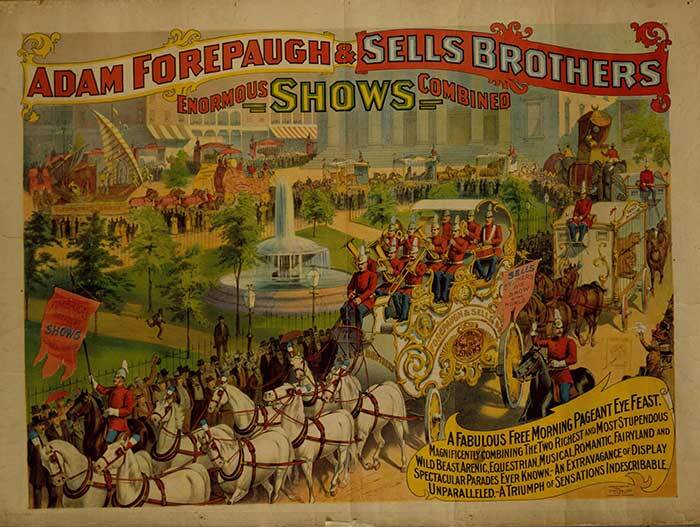 P. T. Barnum lent his name and financial backing to a circus created in Delevan, Wisconsin. 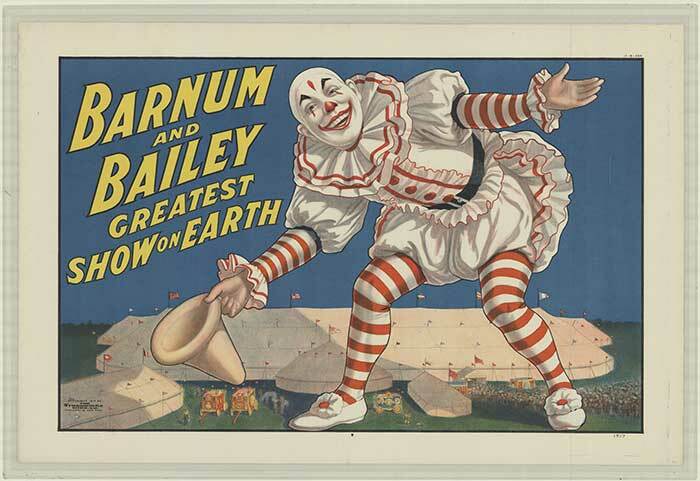 It later moved east and became the "Greatest Show on Earth." 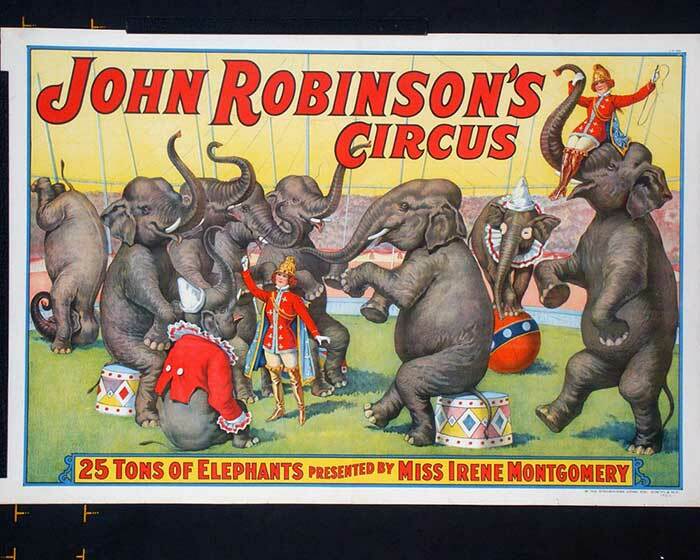 The John Robinson Circus toured from 1842-1911, and was one of the longest running family owned circuses in the United States, owned and managed by four generations of John Robinsins. 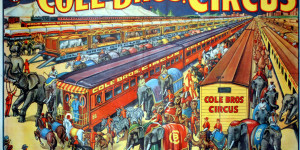 Traveling menageries were the first to use tented structures to display animals; and both menageries and tents were incorporated by the American circus. 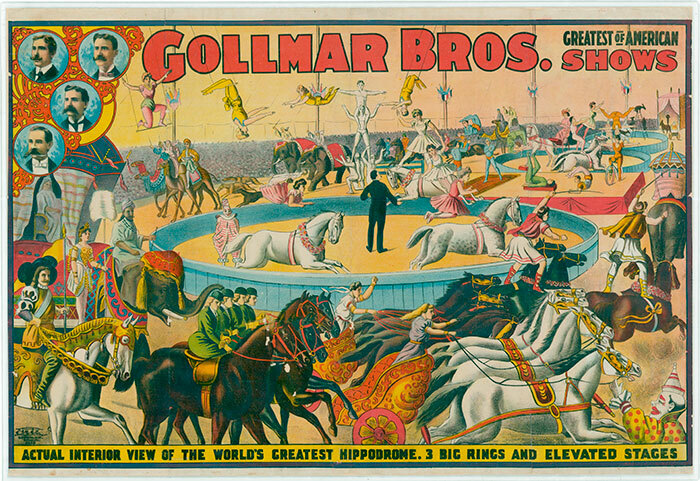 The Gollmar Bros. 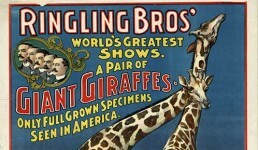 Circus of Baraboo, Wisconsin (1891-1916); first cousins of the Ringling brothers, who owned and operated a medium sized circus.